A complete software system designed specifically for Mac® computers, TruEmbroidery™ 3 Software offers everything you need to bring embroidery to life. The native Mac® interface is enhanced by OS X® Yosemite features, such as gestures. 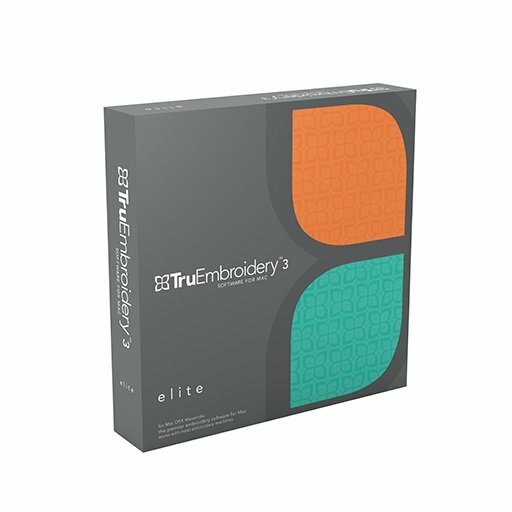 The software is available in two great packages: TruEmbroidery™ 3 ELITE or TruEmbroidery™ 3 ELEMENTS. Multi-format and multi-document: load and save most popular embroidery formats: Babylock | Bernina | Brother | Husqvarna Viking | Janome | Pfaff | Singer. Convert a batch of embroideries to other formats in the Finder. View and print the color worksheet directly from the Finder and send a design directly to your connected HUSQVARNA VIKING® machine. Life View helps you see your projects with real-world perspective. Watch your design “stitching” on the screen with the Design Player and print the color worksheet or real-size background template. Organize your thread stash and create your own thread palettes with TruE™ 3 Thread Cache – create a shopping list for your iPhone or iPad, or to print! View specialty threads including metallic, multi-color and varying thicknesses. Select from 20,000 thread previews from 37 manufacturers. Hover over a color block to highlight stitches of the selected color. Pick a color from the Mac® Colors Window to find your threads or adjust colors automatically with Color Tone. Whatever your embroidery inspiration, TruE™ 3 ELITE will set your creativity free! Adjust your embroideries, and personalize with lettering or a unique monogram. 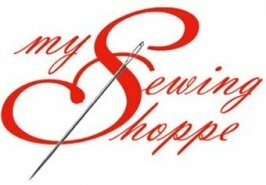 Resize, restyle and reshape your embroideries with ease, editing stitch areas to completely different patterns for a whole new look! Create designs automatically from clipart or photos, make a quilt block in a few clicks or craft an all-new heirloom with amazing lace and special stitching techniques. The TruE™ 3 ELITE package contains the complete range of TruE™ 3 software, assistants, fonts and embroideries, including two exclusive applications, two exclusive assistants and 100 very special bonus designs. Style and transform embroidery designs with ease. Change colors, resize and rotate, and repeat designs. Move, add, or delete stitches and commands. Add lettering and embellish your embroideries with motifs or frames. Visualize your personalized project on a real-life garment, quilt block or fabric. Choose from more than 2400 included backgrounds or add your own. TruE™ 3 Studio – Adjust, personalize, edit stitches and combine embroidery designs, frames and flourishes. TruE™ 3 QuickCreate Assistant – Create standard, redwork or appliqué designs automatically from clip-art. TruE™ 3 PhotoStitch Assistant – Create an embroidery portrait from your favourite photo.